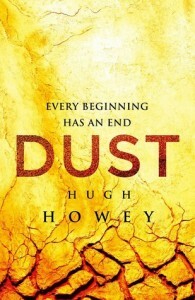 I found the first two books in Hugh Howey’s Silo trilogy to be a bit mixed in terms of quality. “Wool” had started very strongly before developing a few flaws later on but still managed to be a compelling story in a fascinating setting. Unfortunately, Howey then decided that the second book in the trilogy should be a prequel which seemed obsessed with explaining things that were better left unexplained and featured a largely new cast of characters who were far less interesting than the characters in Wool. The concluding book tries to tie together the plotlines from the two earlier books into a coherent story, with some success although it still suffers from some of the second book’s weaknesses. To begin with there is a welcome return to Jules’ story, which was at the heart of the first book. Unfortunately, it is interleaved with chapters following Donald (and his newly awakened sister), who I thought was a confused and frustrating character in the second book. This part of the storyline is arguably more important to the overall plot than Jules’ story so it’s unfortunate that it’s hard to care what happens to him except for how what he does would impact on the other characters. I don’t find his character development to be particularly convincing, since he seems to alternate between being passive and incurious until the plot demands that he has to do something when he suddenly becomes impulsive and fond of dramatic actions. I do think his chapters are a bit more bearable this time round due to the addition of a couple of saner characters, particularly his sister. I think Jules’ story arc is the best part of the book, although even that isn’t without a few problems. Her romance with Lucas is still painfully unconvincing and he still fails to be an interesting character, but since they don’t spend too much time together in the book it isn’t a huge problem. Some of the supporting characters can be a bit two-dimensional but there are also some good bits of characterisation, Solo especially gets some good character development. The book gets off to a relatively slow start as Jules tries to rally the people of the Silo behind her latest schemes, but the pace then abruptly picks up as a disaster puts the survival of the Silo under threat. This is the most compelling part of the story; Howey’s storytelling does seem to be at its most effective when his characters are under extreme pressure. The flow of the story is interrupted a bit by a distracting and seemingly unnecessary subplot involving a religious cult who thinks Jules’ actions are blasphemous. The inclusion of this does seem a bit odd when the first two books had ignored the Silo’s Priests except for brief mentions. I thought the conclusion of the story was a fitting ending to the series’ storylines and one that builds on some of the themes going back to the first short story in Wool. It is also an emotionally satisfying conclusion, hopeful but with an undercurrent of tragedy given how much death and destruction has occurred during the series. Given Howey’s tendency to over-explain the history of the Silo it is gratifying that he leaves the ending being relatively open-ended and leaves many questions remaining about how things would develop in the future. Overall, I’d say the ending and the better parts of the final book largely manage to make up for some of the stumbles the series has had along the way. It’s a pity the series couldn’t maintain the quality of the early stories in the Wool omnibus, but I think it’s still good enough to be worth reading despite the flaws.